It’s another month and another review and giveaway with being part of the Asobi Ambassadors program. We love their toys and haven’t found one yet that we ever felt mediocre. Last month we got to review and giveaway the fun and high flying Curiosity Kits Rocket Launcher, the previous month the fantastic PL-UG Ultimate Den Building Kit and the month before the Seedling Colour The Globe, this month we got to have lots of role playing fun with Safari Ltd, we chose to review and giveaway an incredible creature, a set of TOOBS, some good luck minis and a life cycle. Read on to see which ones we chose and how cute these things are. These are very well made items and allow kids imagination to soar and have fun. 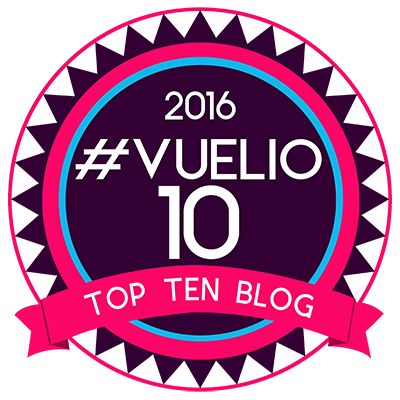 Not only that they are education and can be used for years to come at many different levels. I will also have one of each of the items I’ve reviewed in this post to giveaway at the bottom of the page. Safari Ltd has been about since 1982, I may have played with these as a child. They are proud to produce Toys that teach, teaching them about nature and conservation through imaginative play. There is something here that will suit all tastes from Dragons, to Mermaids, to Dinosaurs to everything in between. 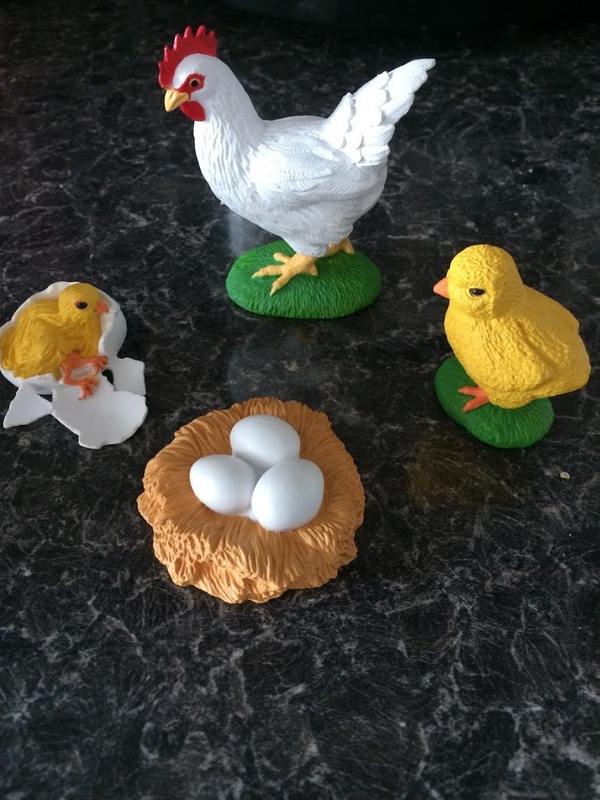 We were sent a Chicken Life Cycle. This is great to show little ones what happens from when the chicken lays an egg through to it becoming an adult chicken. So what did come first, the chicken on the egg? Still debating here. These are really well made, sturdy, but not too hard and are brightly coloured. Next on our learning and fun was the Space Toob, this was filled with lots of little space characters, shuttle, rocket, lunar module, telescope, a satellite, space vehicle and a space monkey. The top of the tube has planet earth which can be spun around as the astronaut hurtle back towards earth. 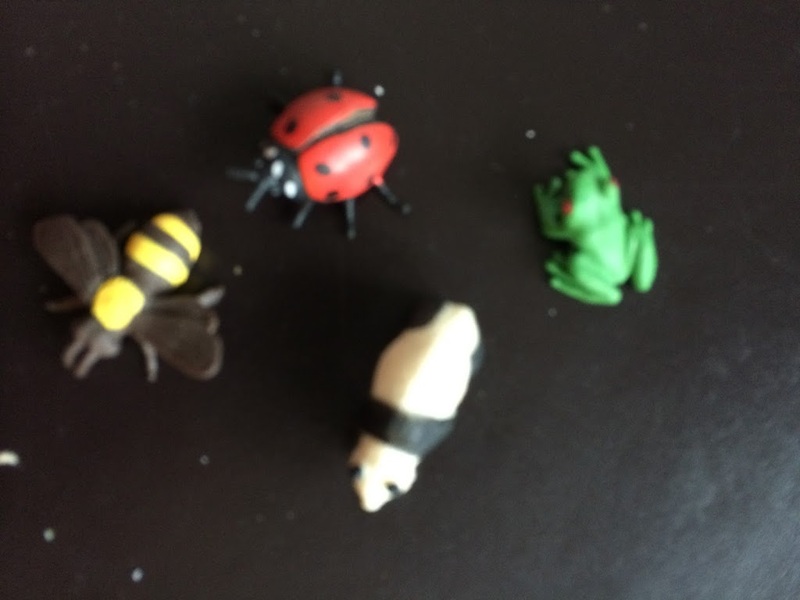 They have a more rubbery feel to them, than the brittle plastic feel of most toys like this. They are hand painted and look great. They come in a tube and can be used to store the figures in. 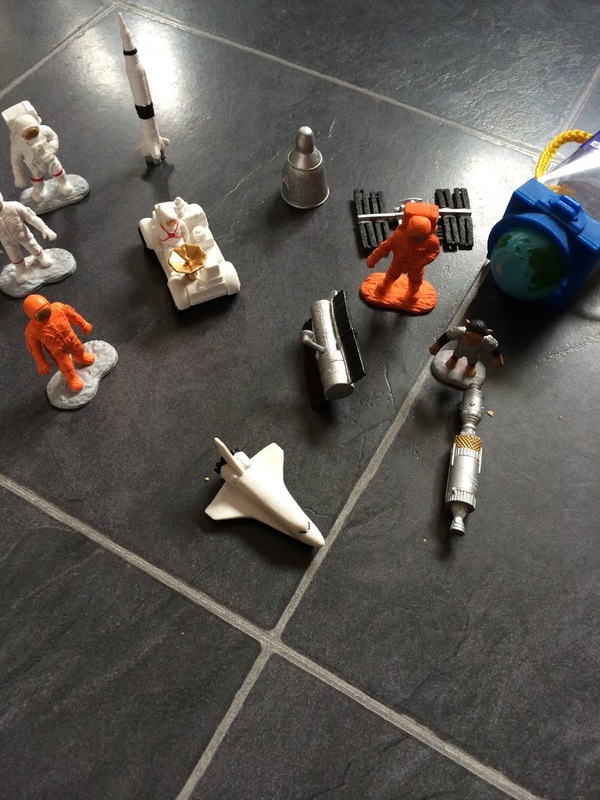 Lucas is really into space and planet so he loves playing with these, he sets them up and chats to them as he takes them off on an adventure into outer space. The large Dragon we were sent was my favourite. I’ve always loved dragons and have collected them for many years. They are my favourite mythical creature with their strength and beauty. 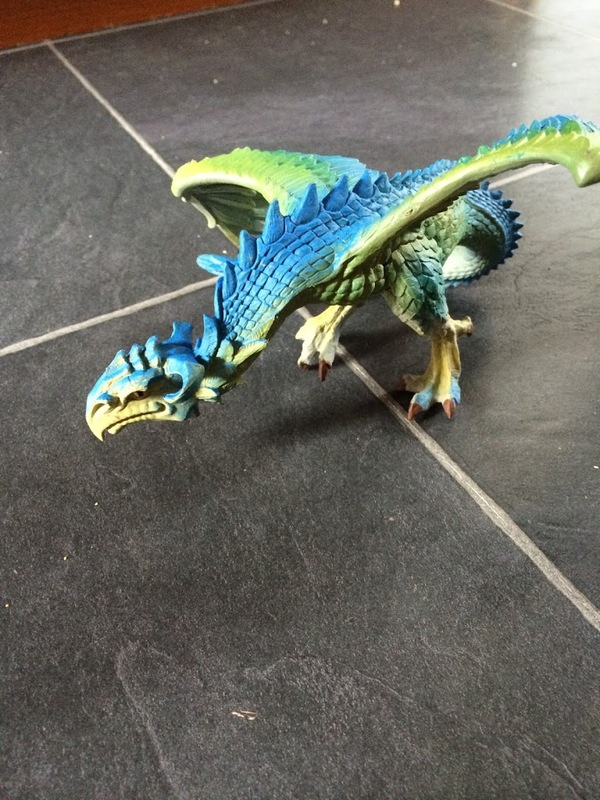 This dragon is well made, looks fantastic and is large enough to make an impact. It is painted beautifully and like the other items it’s got a bit of a rubbery feel rather than a hard plastic one. Less likely to break or snap while it’s being flown through the air breathing fire on those below. 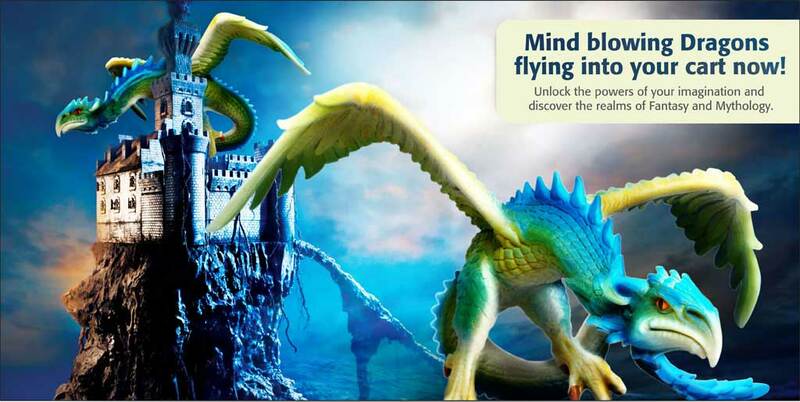 The dragon we were sent is called Wyvern, he is a flying sea beast. Tyler is the one who loves playing with this and loves adding him to his dinosaurs. 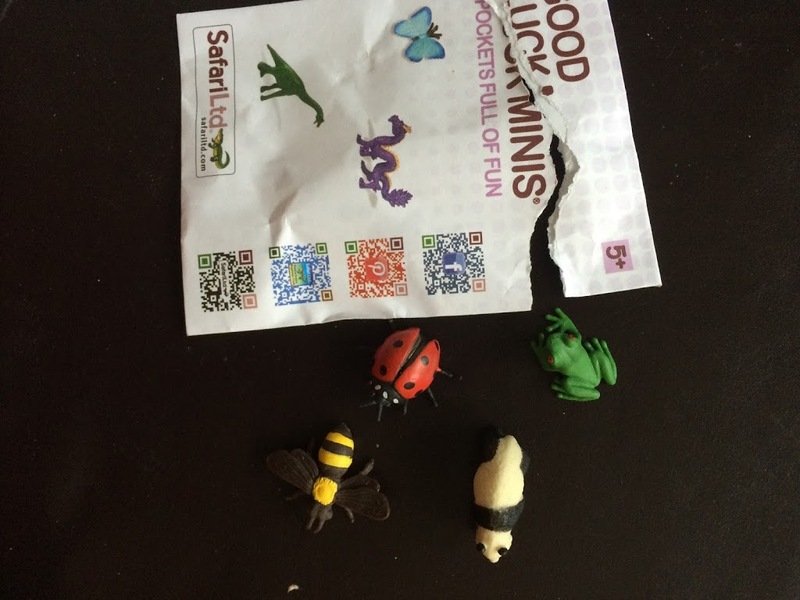 Lastly we had fun with the Good Luck Minis. These come in little paper packs which would make great stocking fillers. They are made of rubber and painted very bright colours. We had lots of fun playing around with these. I think these are a great little gift. The Safari Ltd Toys are available from Kind Toys. They would make a great birthday present, great fun or something to keep the children occupied over the Summer holidays for hours. They look great, are educational and will last for years.